- So one of the things you might want to think about when you select a pediatrician is location, location, location. I think the most important advice I give people is do not select a pediatrician that is more than 20 minutes from your house no matter if it's plane, train, automobile. You will be going there when your baby, for the first two years, I think you go maybe once a month and then if they're sick more. I would have to say I made this mistake and I fixed it on my 3rd child, but I had many atimes where I was in an hour to get my child's ears checked when they were screaming in the back of my car and then falls asleep, and then misses their nap, and all those things, so I think location's the most important thing. 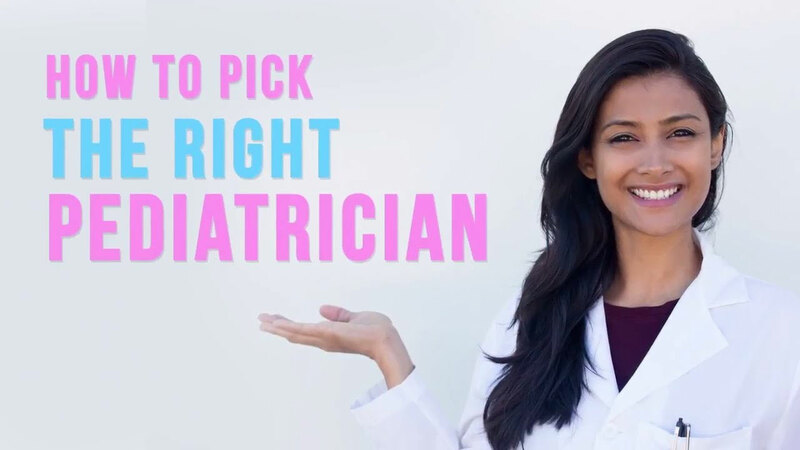 After that, I don't know if a lot of people realize, but your OB, the person who delivers your baby, they have usually a group of people that they recommend for a pediatrician, depending on what type of doctor you're looking for. Be it, somebody may be whose maybe a little more holistic or part of a big practice, or a single practitioner, so you kind of need to think about what you're looking for. If you're somebody that does not believe in vaccinations, then you should probably find a doctor like that, and all pediatricians do interviews. They carve out a certain amount of time in their day or their week where they allow you to interview them, and you should feel free to ask them whatever you think is important. You should take queues from their mannerisms to see if that somebody you're gonna want to go through the long haul with. Is that a doctor who's gonna be patient with you? Do you ask a lot of questions? Are they already annoyed with you? So there are a lot of things that you can pick up when you do the interview. I would have to say that location is probably the most important thing.